INTRO: This is our ever-growing list of environmental songs. Most are true environmental songs; some are just related to general progressive issues. MISSING INFO: For each environmental song listed, we've provided as much info as we have. If it's not here, we don't have it! MISSING SONGS: We are slowly adding more environmental songs and working to organize the page better. SUBMISSIONS: If there's an environmental song you'd like to see added, please let us know. One of the best anti-sprawl, anti-pollution environmental songs ever done; includes the oft-quoted 'paved paradise' line. An excellent and uncharacteristically activist song from ELP. As for the album of the same name, it's one of the few times a formerly great rock band put out something new that really was "sort of like their old stuff." When it falls like acid rain . . .
Sam Phillips lyrically points out that business-as-usual is slowly strangling the air, water, and grounds that sustain us. By diggers, drillers and sellers. We won't stop 'till we're under a black sky. A very nice, bright shiny techno-pop song whose message calls for a change in approach to solving planetary problems. No matter what the question is! To get the world to turn around. "Aye Calypso, the places you've been to, the things that you've shown us, the stories you tell..." It's hard to stop following along with these wonderful seafaring lyrics—some of the best from John Denver—and a great tribute to Jacques Cousteau, the captain of the Calypso and a true champion of the sea. An excellent CSNY song from their later period. Lyrics and lead singing by Graham Nash. 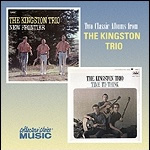 As a look back at the somewhat less mechanized, more dangerous days of coal mining, "Coal Tattoo" fits well into the Kingston Trio's general rock-tinged folk. I said, "That's the blueprint left by the coal. A little more and I'd been dead." A classic from the '60s flower-pop library, sending out good vibes for a better tomorrow. Look over yonder, what do you see! A new day's coming, people are changing. Ain't it beautiful? Crystal blue persuasion . . .
An early great one from Kansas—from the mysticism/nativism/environmentalism phase. We've lost the very meaning of our lives . . .
And now she's gonna die! One of Jackson Browne's early hits, the song is a general commentary on the pititful state of things, social, environmental, and otherwise, as well as the frustrating separation we "more aware" folks feel. To awaken from these dreams. That it's later than it seems . . . The Beach Boys' preeminent environmental song, from one of the best albums from their "serious music" period. Have all been touched by man. Now threatens life on land. The song "Earth Anthem" was penned by songwriter Bill Martin in the mid-1960s. It first got noticed when the Turtles recorded it and included it on their album Battle of the Bands. This classic environmental-spiritual song has been covered by a number of artists, including Dan Fogelberg, who sang it in 1980 at the 'No Nukes' concert in Washington, D.C., on the Capitol steps. This is our home, third from the sun. I would lay my life down. The preeminent Earth Day song from folk-rock nature-master John Denver. Celebrate Earth Day, every day . . . The King of Pop transforms himself into a philosopher-king with this one, as he winds his way through war and peace and environmental bone-headedness. A simple but pointed commentary on our throw-away consumer society. Love the drumming riff! Your fresh garbage . . . Some great lyrics appreciating the little blue and green jewel we live on, sung in a melodic (if gravelly) manner over a soft rock 'n' roll backing. Although no one is dumping excess grain in the ocean anymore, there are plenty of other food and agricultural problems. This top-notch Moodies' song addresses a variety of societal ills. While a starving, frightened world fills the sea with grain. A "mother earth" type eco song that starts off slow and builds nicely. That you have got to learn to treat me tenderly. One of the most out-there, futuristic songs to ever make the Top 40. Great stuff about where we're going as a species. And he ain't put back nothin' . . .
Not really an environmental song, but rather a "personal healing" song with larger implications. There's something in your life you don't like? You got the power to change it. Inner revolution—that's the way it's done. One of the best and most popular environment / ecology songs ever. A great tune from a great album. From the north and south and east . . .
"My City Was Gone" is a worthy anthem against urban sprawl, the duplicity of politicians, and the general mass insanity associated with the push for ever more outward growth. By a government that had no pride. From Seneca to Cuyahoga Falls. A personal proggy favorite among environmental songs, from a concept album that is arguably Spirit's best work. A cool contemporary song suggesting that there is really no alternative to taking care of the planet that sustains us. Would our hearts still bloody beat? Would it stop the stepping feet? An unabashed tirade on the environmental insanity that seems to be an inexplicable part of how the world is being run. And the best cut on the album! Breathe deep—and do the things that make it worth breathing clean, fresh air! Richard Sinclaid, ex-front man for Caravan and Camel, pens a jewel here in this eco effort. It's an updated sound compared to his proggy 1970s work, but still excellent. Recycling should be the rule. These inspiring opening words to Spirit's classic "Twelve Dreams of Dr. Sardonicus" set the tone for the remainder of what turns out to be a great concept album. A direct commentary on how the policies of "modern agricultural" have led to the catastrophic downturn in family farming in the US. Ninety-seven families who lost ninety-seven farms. And some nights I feel like dyin', like that scarecrow in the rain. Rain on the scarecrow, blood on the plow . . .
A bit abstract compared to the typical environmental song due to its extended play time and broader themes, but nonetheless a very worthy eco effort. Now, salvaging blocks of decay. MINI-REVIEW: The song "Recycled" is originally from the 1976 studio album Recycled. It's rare that an entire album addresses an environmental theme, but here is one. Nektar's Recycled transcends mere notions of recycling to also explore man's relationship with nature and the cycles of existence. Musically and lyrically, it's a forgotten jewel of the 1970s progressive rock era. This progressive blues-rock classic was a smash hit for the Yardbirds. Its green overtones are less well recognized. A surprising—and excellent—eco song from one of the best known psychedelic bands of the late 1960s. In the air like transparent tombs. Feel secure? They're all around you . . .
Far from enabling the American Dream, the country's endless suburbs have bred remoteness and alienation. 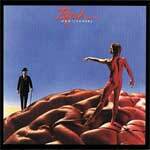 Such is the theme of "Subdivisions," a Rush classic. And the far unlit unknown. Lyrically: Social and environmental issues. Musically: A shimmering backdrop of progressive pop that features a pleasing mix of Eastern and Western instrumentation. Step back in your mind with James Taylor as he reminisces about ranching and cowboys and how it used to be—before the day of the "modern cowboy" on his fume belching four-wheeler, sending dogies off to manure-strewn feed lots. A fun kids' song about recycling and reducing use of stuff in the first place. And the eighteenth letter in the alphabet is R.
Of hellish heat and leaves a smear of ash . . .
Short but inventive, "The Trees" uses the metaphor of forest personalities to comment on the human tendency towards envy, greed, and violence. Penned long before high gas prices had made long commutes a waste of money as well as time, James Taylor nails our angst over the "commuter trap." Well I left my job about 5 o'clock. This traffic jam . . .
A very cool song about how we focus on being busy consumers at the expense of being good citizens and compassionate humans. Musically, somewhat reminiscent of the Smithereens and REM. What will Santa and the elves will do if the North Pole ice melts? Egad—that scenario can't be good! While Captain Sea Level's message is semi-serious, it's clothed in a jolly red musical suit, with the sound being somewhere between the Beach Boys and NRBQ, with a little Jimmy Buffett thrown in for good measure. What is gonna happen to his little elves? Will they be too busy swimming to make the toys? If the North Pole melts too fast? Is this Christmas gonna be his last? What will parents have to tell their girls and boys? A scathing commentary on the fantasy of modern dream living and the vacuous politicians who keep telling us that all is well. One of Tull's best efforts, both lyrically and musically. It's under control and we'll soon be on our way. And those with no homes to go to, please dig yourselves holes. Was Fox Mulder right; are there aliens out there who want to take over the planet? Or does Peter Schilling's "Zone 804" have it right; that there are aliens out there who can help us fix the sad state of the planet? Time will tell. Here are some more songs about environmental issues and related topics that we know to be good ones. Eventually we will change these over to the new format above, but we figured it was better to add these now using this quick method. All of the songs in the list below to the left can be accessed via the widget below. Click the big arrow to see the song list and hear clips. Tracks will play sequentially; or click on a specific track in the widget to play it. Blending the vocalizations and stylings of artists like Mark Knopfler, John Hiatt, and Sting, this 9-song CD by J.P. Taylor offers up some very solid coffee-house rock. Fair-trade organic coffee-house rock, that is—all of the songs on the album have a distinctly earth-friendly slant, gently touching on issues such as conservation, clean air and water, global warming, and the need for all of us to start pulling together. J.P. Taylor isn't just "doing good" here—he's doing good music. We're slowly working on converting all of our listed environmental songs to the new format (as well as expanding and adding some themed eco-song pages for topics like pollution, mining, animal welfare, etc.). In the meantime, this old-format listing will have to do for now! I AM ON AN EXTENDED BREAK. PLEASE DO NOT SEND SONGS AT THIS TIME.